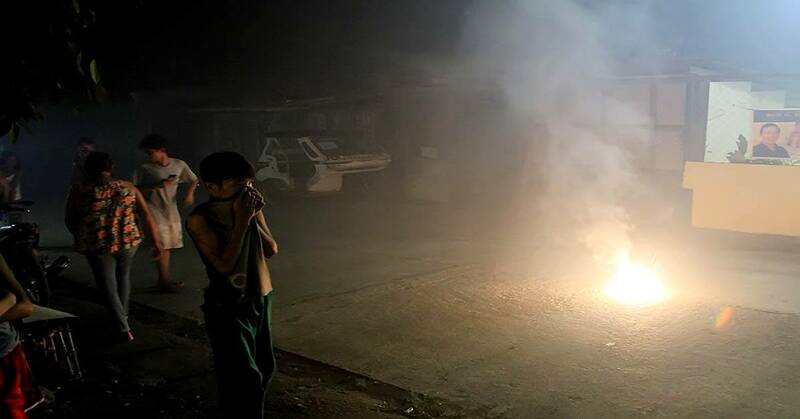 Despite efforts of the government to achieve “zero injuries” during the celebration of the New Year in Palawan, data provided by the Provincial Health Office (PHO) on Monday showed a rise in the number of fireworks-related injuries (FWRI) from four to 13. Dr. Mary Ann Navarro, chief of the PHO, said Monday “authorities” did their best in preventing FWRIs but “lack of personal discipline and insufficient parental supervision” are factors that are difficult to deal with. Majority of the FWRIs were children and teenagers, she said, adding the town of Cuyo is on top of the list with seven cases, followed by Magsaysay with three and Bataraza with a single case. These FWRIs are on top of the two other victims who were brought to the Ospital ng Palawan (ONP) on January 1, she said. “I think, since isla ‘yong (Cuyo) at mas malapit sa ibang sources. Mas madaling nakakapasok doon ‘yong mga paputok and hindi na-ti-trace kasi pinapasok ng maliliit na vessels na hindi dumaan sa port or baka stocks yon from last year pa. It can also be linked to behavioral discipline and supervision of parents kasi katulad noong sa three-year-old,” stated Navarro. The PHO data also showed that the FWRIs are nine males, two females with age ranging from three to 37 years old. The three-year-old victim was from Cuyo whose hand was injured when a 5-star firecracker blasted in his hand. The adult male was injured because of a piccolo. In 2017, Palawan had no FWRI, which the PHO hoped to maintain. But due to the rise in the cases in 2018 up to the first day of the year, Navarro said they are contemplating on conducting their anti-fireworks campaign early. She said in 2019, they are considering to start it in November.